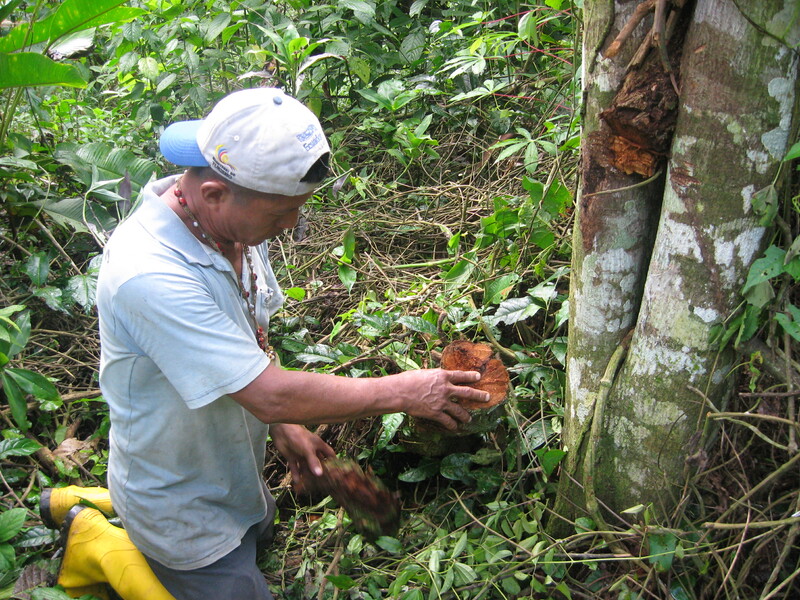 Don Luis is a healer from Eastern Ecuador. 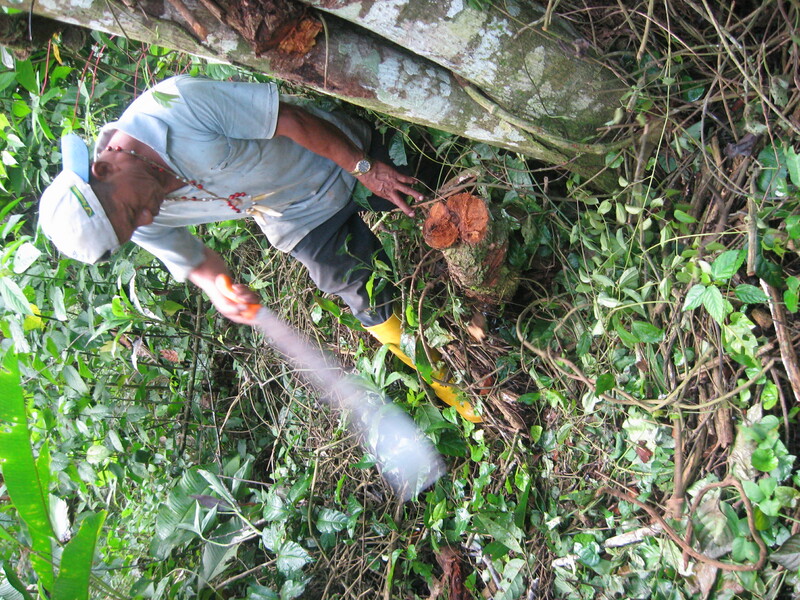 He prepares ayahausca from plants that he cultivates in a sustainable manner on his property and all of these scenes take place near his home. 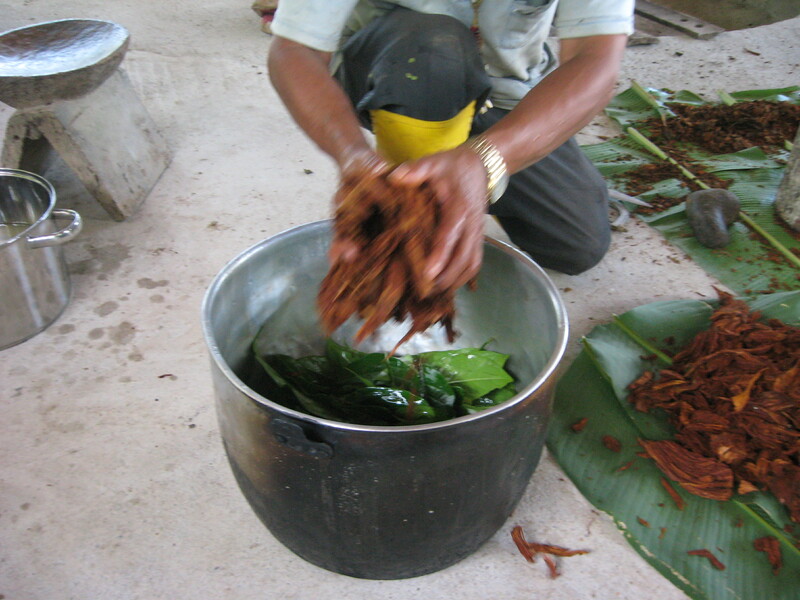 Ayahausca is a preparation traditionally prepared from the Banisteriopsis spp. 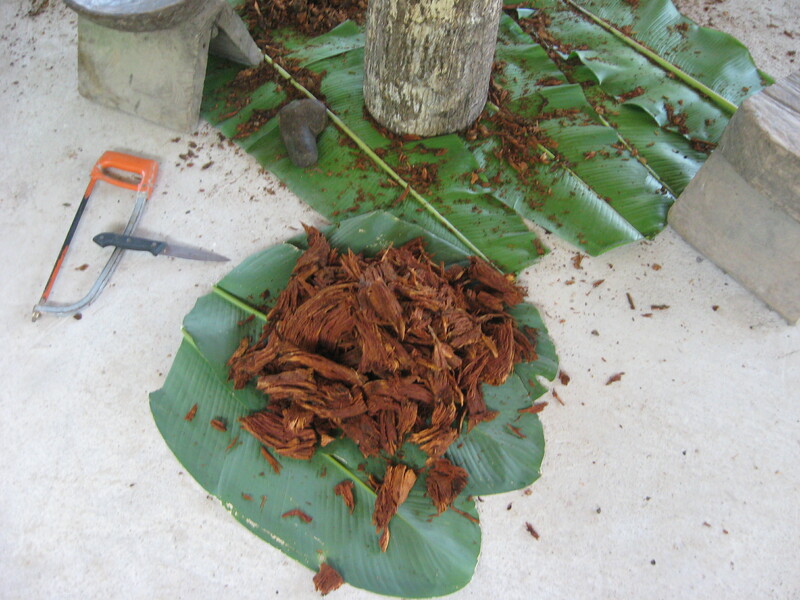 (also called ayahausca) vine mixed with leaves from a DMT containing plant and sometimes other admixtures. 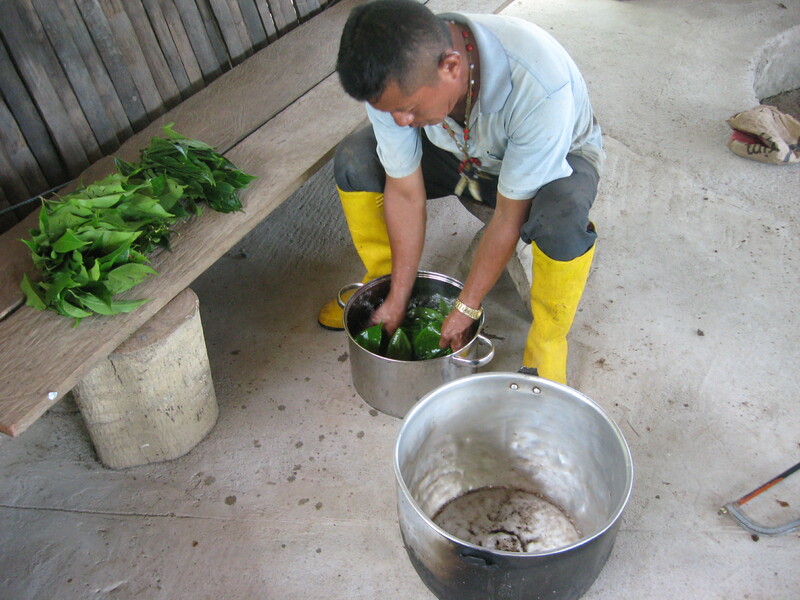 Although leaves of the Psychotria viridis (Chacruna) are most commonly used as the DMT component, Don Luis uses leaves from the Diplopterys cabrerana (Chaliponga) to supply the DMT. 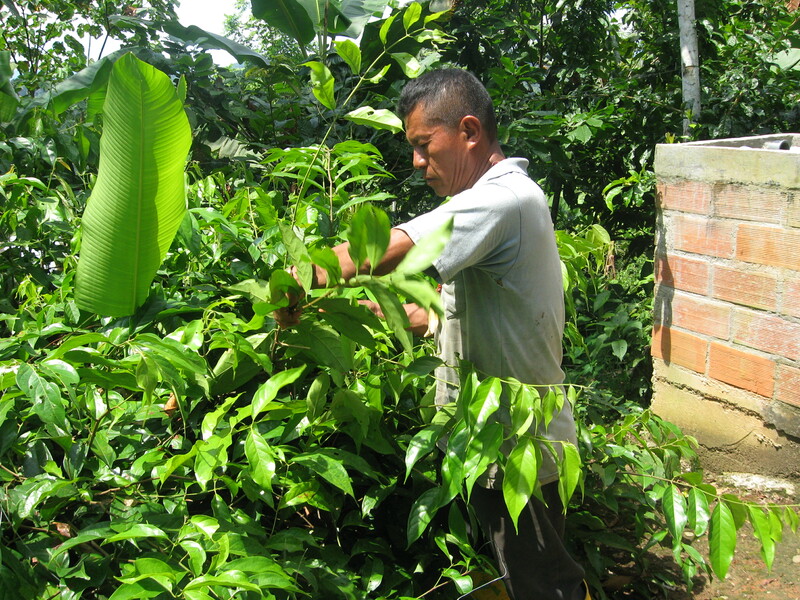 Don Luis says the ayahausca vine supplies the visions the leaves are added to clarify them. 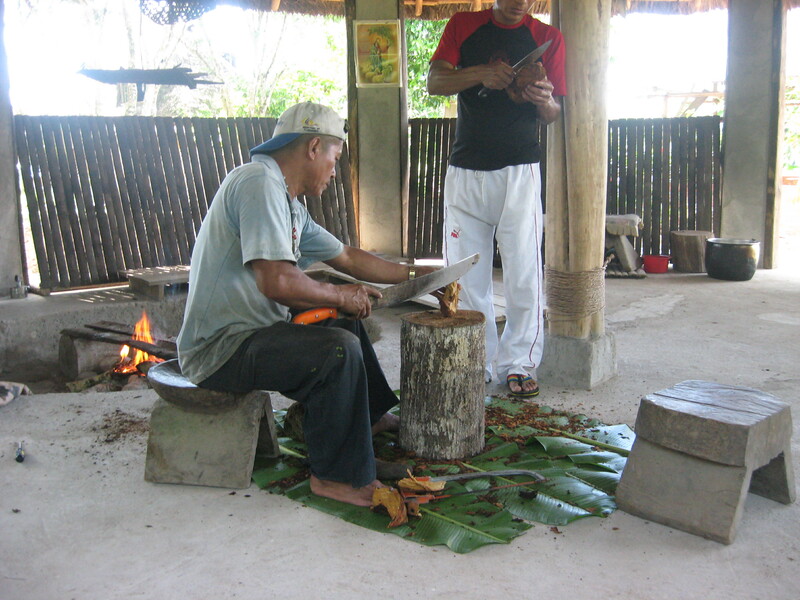 Don Luis adds nothing else and believes the use of other ingredients such as Brugmansia (Toé) to be dangerous. Below are the sequence of events in the preparation. 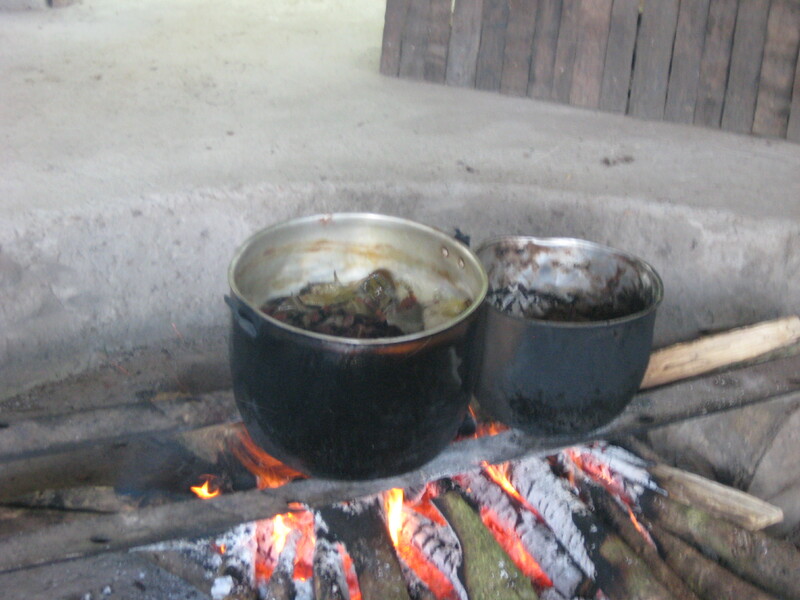 Liquid is removed after it boils down and more water added. 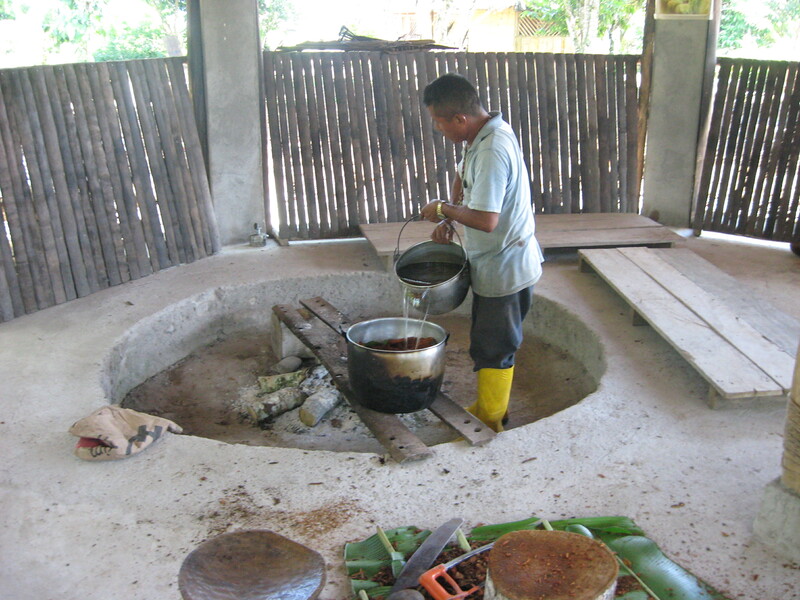 The first liquid is reduced and entire process takes about four hours. Hello sir. I know that we do not know each other but i have much love for the spirit plants. I grow many plant teachers but lately my chaliponga vine has died when i moved into a new house. Sorry. 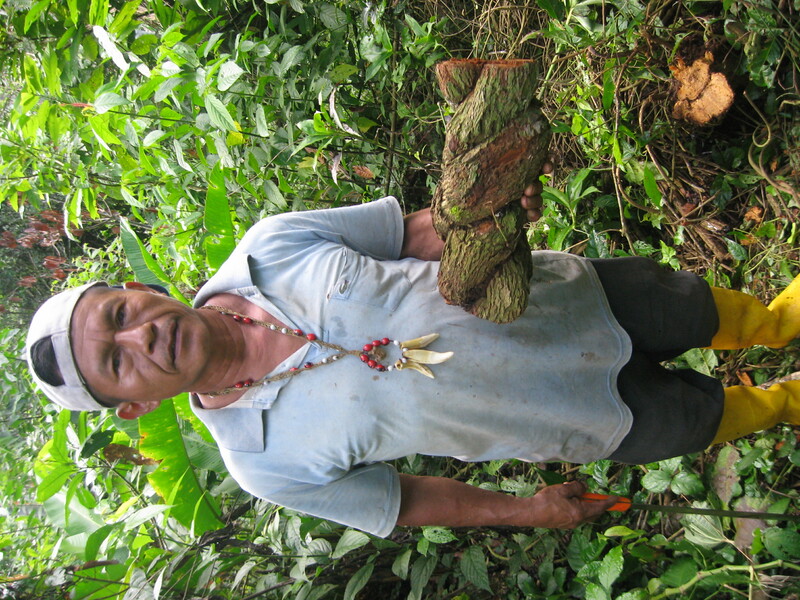 I don’t grow any of the plants personally or have direct access to them here in the United States. 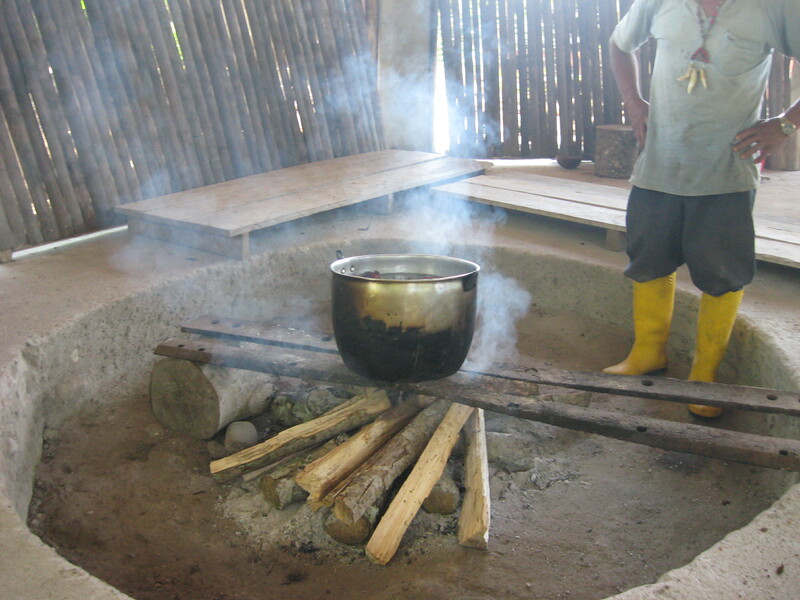 These pictures were taken in Ecuador.